One’s sense of self can be important in determining many factors. 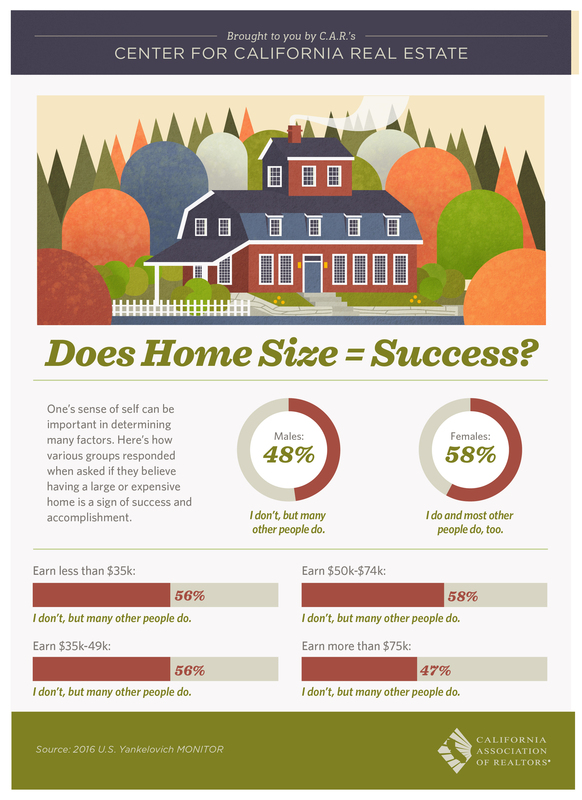 Here’s how various groups responded when they were asked if they believe having a large or expensive home is a sign of success and accomplishment. My opinion on this is that if you own a large or expensive home it would be a sign of success. I would think, in most cases, in order to get a loan and make payments on such a property would mean that you would have to be successful. If you’re looking to purchase a large expensive home or any home in San Diego County for that matter please give us a call, we would love to help.